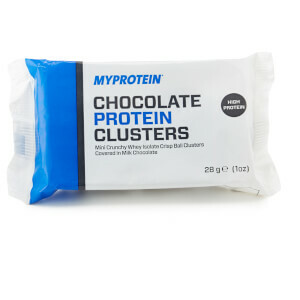 They’re a super-convenient way to get extra protein into your diet while you’re on the go. Whether you’re on the way to a Pilates class, or having a date with the weights… you can’t go wrong with our Protein Flapjacks. When to enjoy Protein Flapjacks? Whenever and wherever you want. Enjoy at home with a hot drink, at your desk, or straight after a workout — get that boost when you need it most. They also come in two delicious flavours — Chocolate Chunk and Traditional Oat. What to enjoy Protein Flapjacks with? Protein Flapjacks are a convenient source of protein to have on the go, but to make sure you’re getting essential vitamins and minerals, add our Daily Multivitamin. Oats (24%), Golden Syrup, Isolated Soy Protein (20%) (Soya Lecithin), Fructo-Oligosaccharide, Salted Butter (Milk, Salt), Margarine (Vegetable Oils (Palm Oil, Rapeseed Oil), Water, Salt, Natural Flavouring, Emulsifier (E475)), Whey Protein Isolate (4%) (Milk), Sultanas (3%) (Sultanas, Sunflower Oil), Dried Cranberries (3%) (Cranberries, Sugar, Sunflower Oil), Brown Sugar. Oats (25%), Golden Syrup, Isolated Soy Protein (19%) (Soya Lecithin), Fructo-Oligosaccharide, Salted Butter (Milk, Salt), Margarine (Vegetable Oils (Palm Oil, Rapeseed Oil), Water, Salt, Natural Flavouring, Emulsifier (E475)), Dark Chocolate Chips (5%) (Cocoa Mass, Sugar, Emulsifier (Soya Lecithin), Vanilla Extract), Whey Protein Isolate (4%) (Milk), Brown Sugar. Oats (27%), Golden Syrup, Isolated Soy Protein (20%) (Soya Lecithin), Fructo-Oligosaccharide, Salted Butter (Milk, Salt), Margarine (Vegetable Oils (Palm Oil, Rapeseed Oil), Water, Salt, Natural Flavouring, Emulsifier (E475)), Whey Protein Isolate (4%) (Milk), Brown Sugar. The nutritional information is based on the Forest Fruit Flavour version, when choosing an alternative flavour the nutritional values may vary. Oh my oh my. I bought a bunch of different snacks (because I am an avid snack sampler haha) and this was one of them. 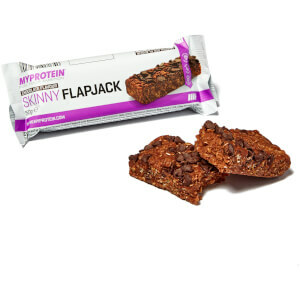 I don't know whether this tasted extremely good because I was half asleep while eating it but oh my goodness, I was sad to finish it...it tasted amazing and it shouldn't be called protein flapjack because I didn't taste any emphasis on the protein in it (like some snacks do). The best thing about it is I didn't have the urge or moreish feeling to snack on anything else. Overall 1000/10 would buy a whole box. I purchased the original and chocolate chip flavour flapjacks to sample and to be honest, i wasn't expecting it to be amazing, however... WOW! Both flavours are absolutely fantastic and taste like the flapjacks you would get from the likes of greggs etc. I will be purchasing so many boxes of these in the future, please don't change the recipe ever haha!!! 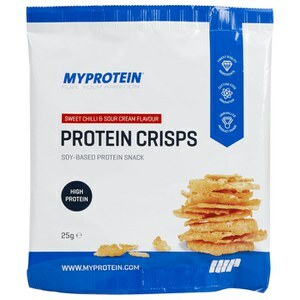 Great taste and consistency compared to many other stodgy protein products. Just watch out that it has a very high sugar content. High Protein Flapjack - lush! I tried a small amount to see if it would satisfy my hunger and it did almost immediately. Too big for me to eat at once but a little nibble here and there and it works a treat!!! I bought a sample of the flapjack (original flavour) to try and was very happy with it :) the calorie content is high but I found that as a quick snack I only needed half the bar anyway. It tasted delicious but wasn't sickly (I've tried the protein cookie as well and found that extremely sickly). I'll definitely order again! 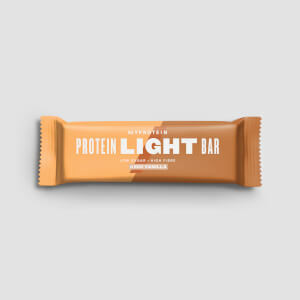 this was nice but in comparrison to another brand of protein bar i usually buy, this is 72 calories higher, it tastes nice but calorific content is too high for me, so won't buy again. These flapjacks were a lovely 11am snack when I was craving something sugary. Really surprised by how good they tasted! Will be ordering a full box to see my through the festive period so I can still be "naughty" without ruining my hard work!